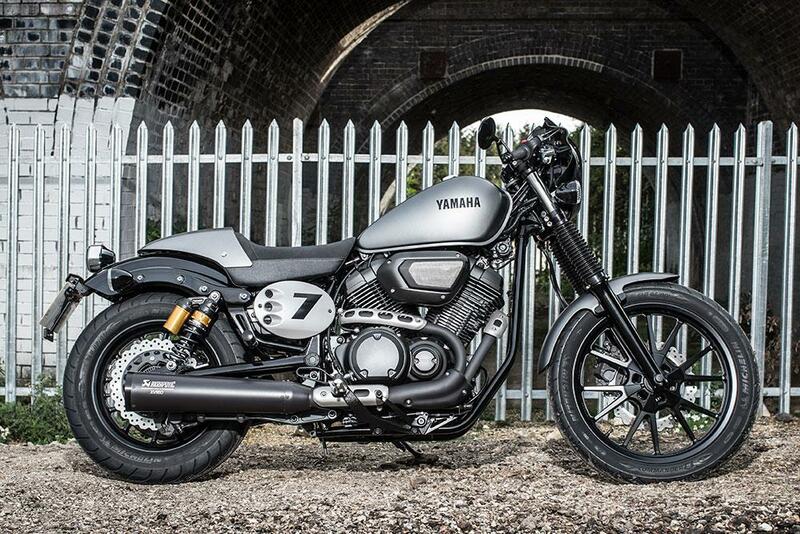 For an additional £300 more than the bobber style XV950R, Yamaha are offering customers full on café racer treatment. 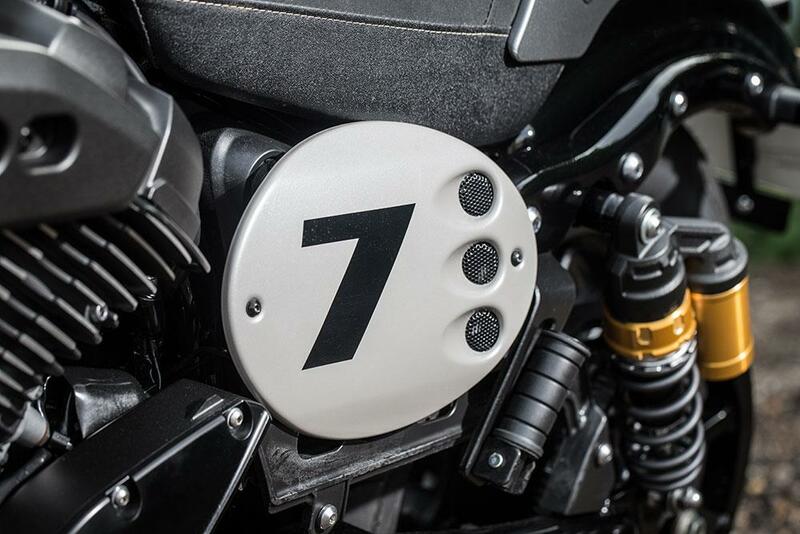 The Racer gets clip-on bars, new switchgear and levers, footrests, single seat cover (which is detachable for pillions), front cowling and side number plates. 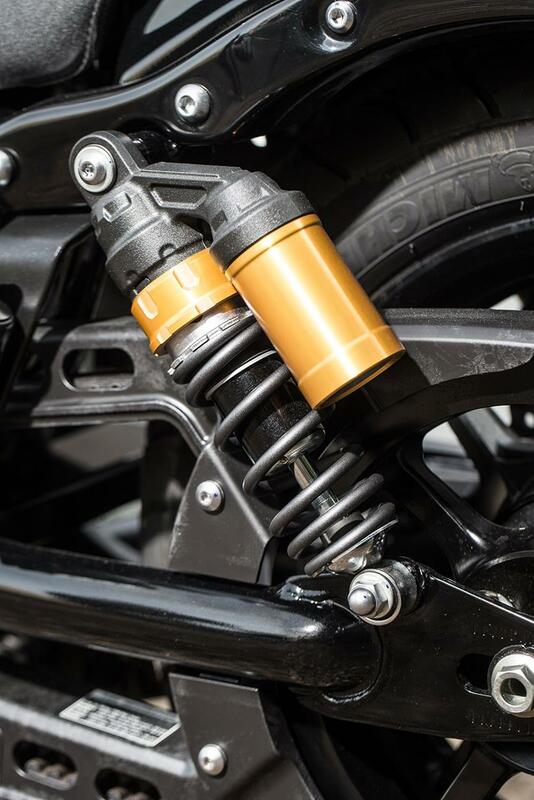 Yamaha has also changed the front and rear suspension travel offering 9mm more travel up front and 6mm at the rear. Other than the cosmetics, the primary changes are the ergonomics. The footrests are further back and higher, and the seat is 75mm higher too. The clip-ons pull your arms forward and the footrests and higher seat push your bum backwards, it’s a sportier, more involved riding position, which is perfect for the café style. It’s surprisingly more comfortable than it looks; the only downside ergonomically is the rather large, protruding air-filter as it’s intrusive and vibrates on your right knee cap. There’s more than enough oomph to get past traffic, and to cruise smoothly at 80mph without fuss. The suspension on a cruiser like this is never going to be special, and the rear gas shocks are really just for show, but the KYB set-up is stable through corners and won’t vibrate your helmet loose. Take the Racer through your favourite bends and the springs won’t let you down, coupled with the café clip-ons, cornering is more fun than it should be on a bike like this - but expect those pegs to scrape. 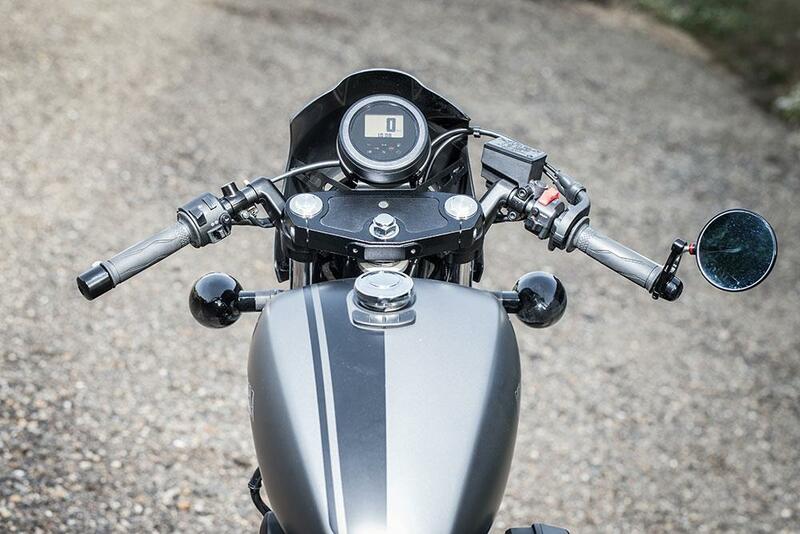 The Racer comes with ABS as standard (unlike the base model XV950 £7,199), the wavy brake disc with a twin-pot front caliper and single piston on the rear do a good enough job of stopping, much better than most cruisers of similar ilk. Overall the riding experience is pure yet fun. 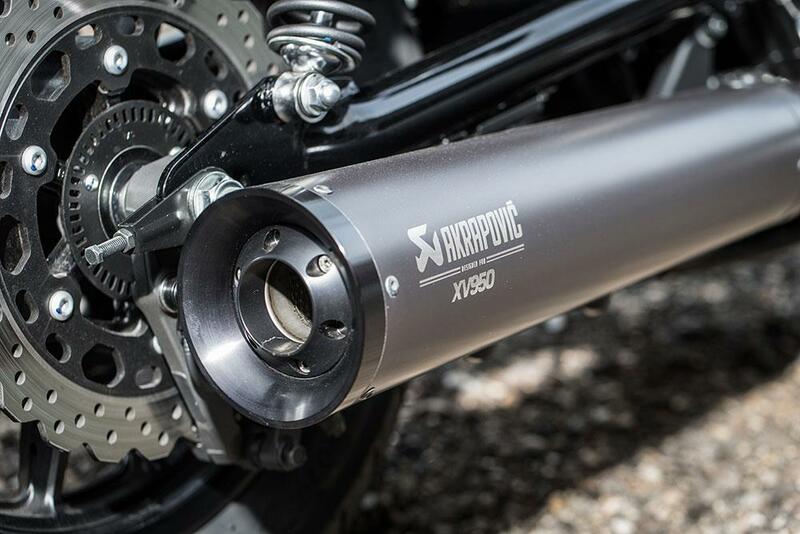 It does away with mod cons (par ABS) and leaves you enjoying the ride, the position, sublime styling and sweet Akrapovic note that’ll turn more heads than a Wimbledon match. 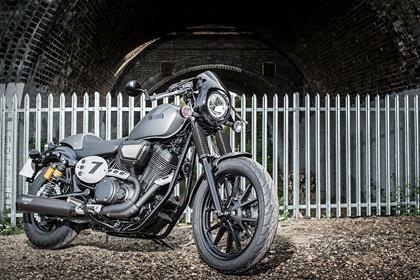 The XV950 Racer uses an air-cooled V-twin from the ’09 Yamaha XVS950 Midnight Star. But it has been tweaked to produce more torque and low to mid-range delivery, pumping out 51bhp @5500rpm and 59ftlb at 3000rpm. Other than the motor, everything else is new including a new one-piece, steel double-cradle frame. The XV is well priced with a high level of build quality. Reliability shouldn’t be a problem as the engine is based on the proven XVS950 Midnight Star. Yam has carefully thought about the design, it’s drenched in black paint, with excellent finishing touches like fork gators, front cowl and soft seat. 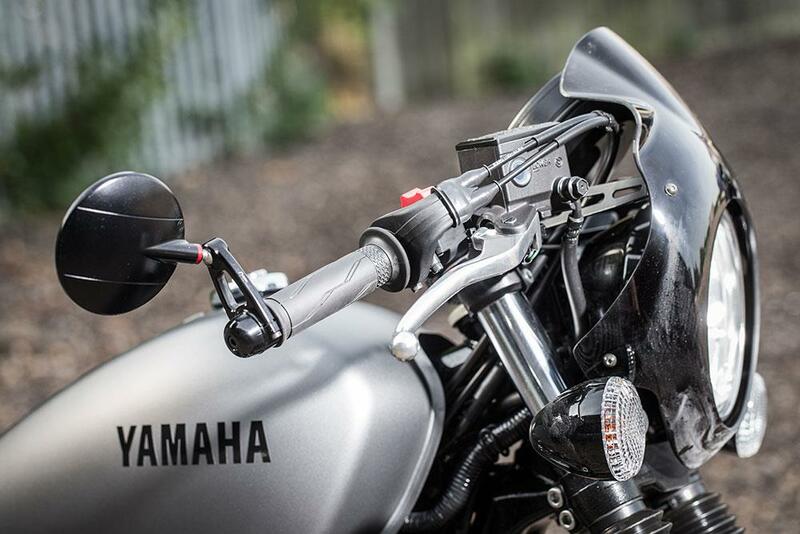 The clip-ons, café racer cowlings and side plates all add up to make the Racer good value for money. However, with such a vast array of optional extras it would be easy to go way over the standard price. ABS comes as standard, but that’s it in terms of rider aids. 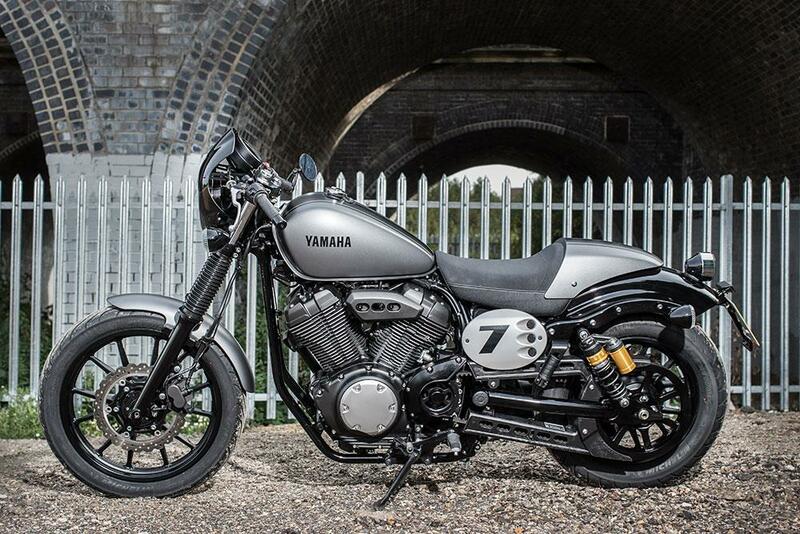 The 2013 Yamaha XV950 and higher spec XV950R were the first of Yamaha’s Sports Heritage line-up. The heritage tagline was used to pay homage to Yamaha’s past, while “blending the very latest technology with established looks”. Simply – Yamaha set about bring back classic models in modern trim, and so far, they’re doing a pretty good job of it. 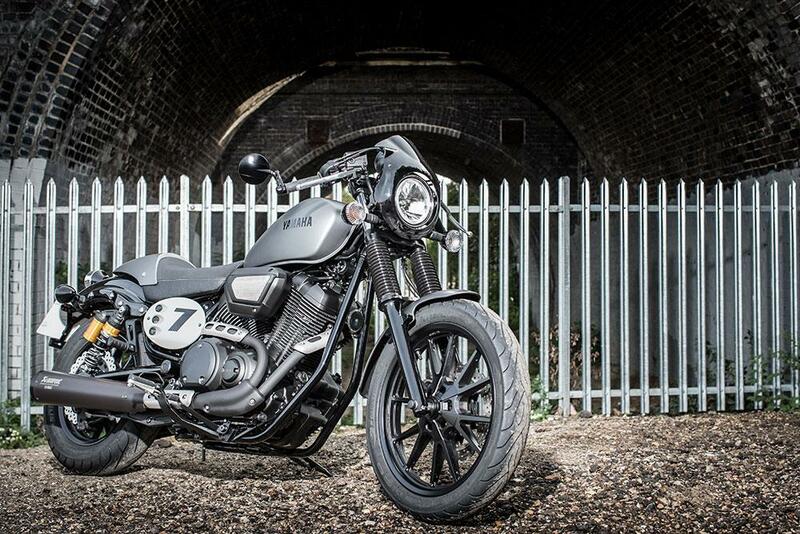 The XV950/R is a performance bobber style bike while the latest XV950 Racer is a revamped version in café racer trim. 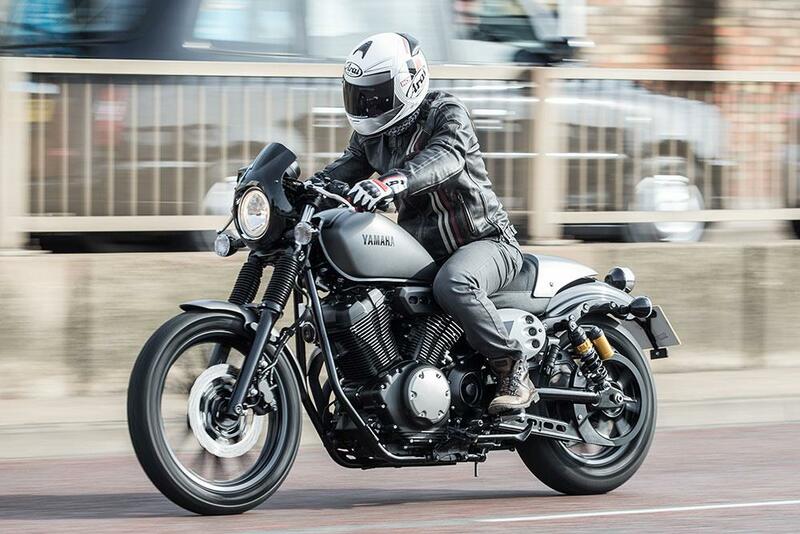 No owners have yet reviewed the YAMAHA XV950 Racer (2015-on). My take on the new Yamaha XV950.